It has a light value. It’s great for filling with texture, color or tangles. The round shape is a good balance for square or triangular shapes. It’s a great filler, because it isn’t too busy. It’s fantastic for those tiny bushes, and trees on the horizon. On a related note, this is a good step-out for clarifying the terminology in my fantasy world. I define a Bush as a plant that sits on the ground. A Shrub is has foliage on the ground, and a stick (branches/trunks) through the middle, alternating with more foliage. The main difference between a bush and shrub is that shrubs only have sticks going right through the middle. A Tree has a stick (trunk) at the bottom, and may have sticks (branchs) weaving through-out the tree. The main difference between a shrub and a tree, is that the stick in a shrub always goes right through the middle. This is fairly arbitrary on my part, and mostly so we always know what we are talking about. 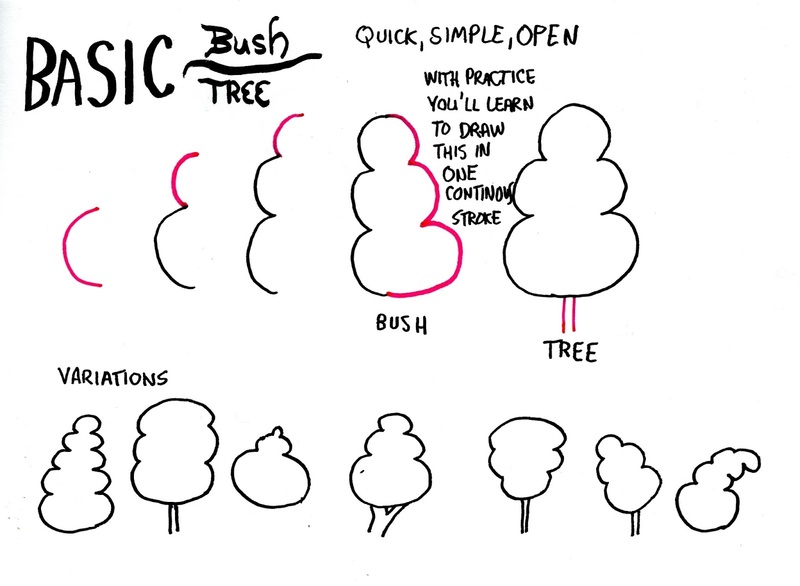 I often use the word ‘stick’ to mean a trunk or branches, because I think it is less scary for some people to think of drawing sticks than trying to draw trunks or branches. 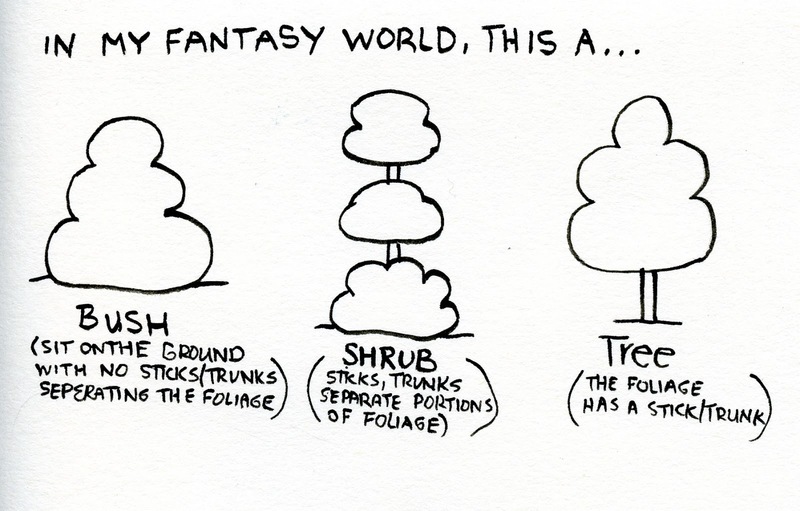 And in a fantasy world they can be sticks! On Sunday, I’ll have a step-wisely showing some of the textures in my Fantasy World and how you can use them.